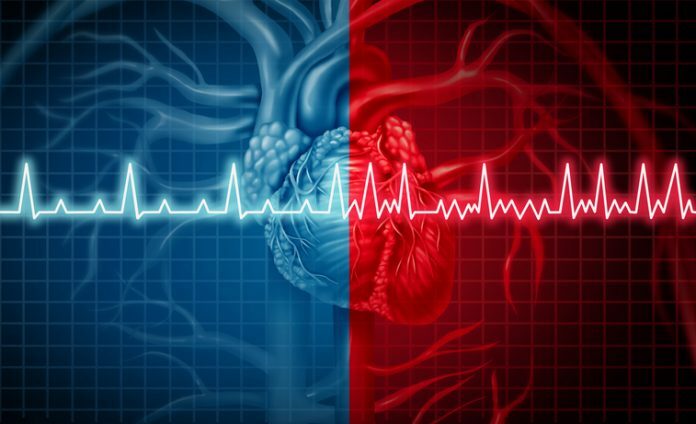 Scientists at the University of Birmingham report the discovery of two biomarkers that could be used to identify atrial fibrillation in patients who have three clinical risks. Sometimes atrial fibrillation does not cause any symptoms and a person who has it is completely unaware that their heart rate is irregular. Now scientists have identified patients are more at risk of atrial fibrillation if they are older, male, and have a high body mass index. These patients, the scientists said, could be screened for atrial fibrillation by testing their blood to see if they have elevated levels of two biomarkers—brain natriuretic peptide (BNP) and fibroblast growth factor-23 (FGF-23). The study (“Data-driven discovery and validation of circulating blood-based biomarkers associated with prevalent atrial fibrillation”) was carried out by scientists from the Institute of Cardiovascular Sciences and the Institute of Cancer and Genomic Sciences at the University of Birmingham’s College of Medical and Dental Sciences and is published in European Heart Journal. According to first author Winnie Chua, PhD, post-doctoral researcher at the Institute of Cardiovascular Sciences, “People with atrial fibrillation are much more likely to develop blood clots and suffer from strokes. To avoid strokes it is important for them to take anticoagulant drugs to prevent blood clotting. However, atrial fibrillation is often only diagnosed after a patient has suffered a stroke.